Raaga.com: Shahid Kapoor's wife Mira Rajput in hospital! 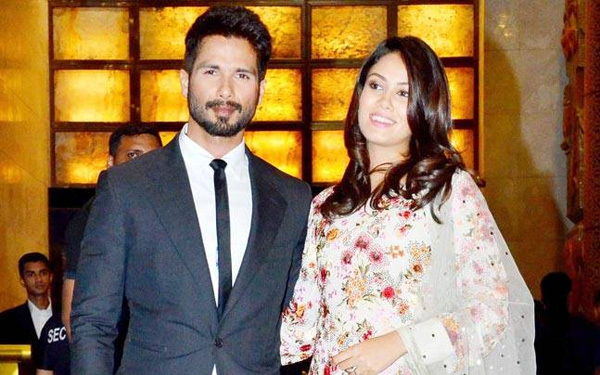 Shahid Kapoor's wife Mira Rajput in hospital! Actor Shahid Kapoor is currently shooting for his upcoming movie ‘Rangoon’ and also promoting 'Udta Punjab' that will hit the screens on June 17. He is currently enjoying the best phase of his life be is professional or personal front, he is soon going to be a father as his wife Mira Rajput is expecting. Shahid is trying his best to spend as much time possible with his pregnant wife; they were also seen on a babymoon recently in Maldives. But looks like, Mira is not keeping that well and was admitted in a hospital. Mira has been taken to Hinduja Healthcare Surgical in Khar, her due date is in the month of September and was admitted for few preliminary check-ups & tests. Mira is currently in her second trimester. A source says that, Shahid was by Mira’s side throughout her stay in the hospital. And later after all checkup and test, Mira was headed back home on Sunday. Mira Rajput was last snapped with hubby Shahid at Preity Zinta’s wedding reception, where she had a glow on her face. Shahid opened up about his awaiting fatherhood at the trailer launch of Udta Punjab.